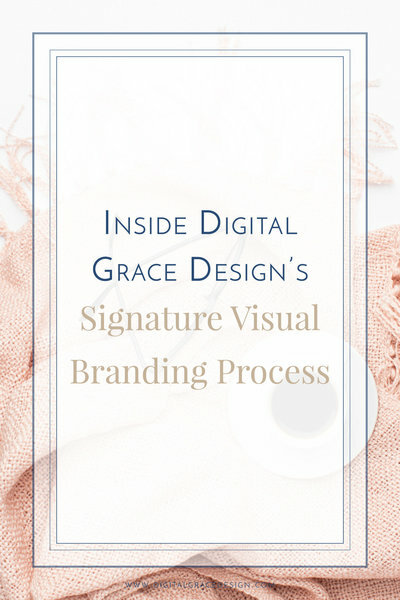 • Your branding feels outdated, too DIY, or just not like you anymore. • Your website doesn’t seem to inspire the right type of bride or client to fill out your inquiry form. • You're sometimes embarrassed to send out the link to your website or hand out your business card because their quality isn’t aligned with the value that you provide. • Or maybe you’re beginning to realize that while you plan a killer wedding down to the final detail, take stunning photographs, or provide the best client experience ever, you can’t do it all. • Visually tells your brand story in a beautiful and strategic manner. • Makes your ideal client feel welcome and like they know you, even if you haven’t actually met yet. • Feels cohesive, polished, classic, and consistent down to the little details. • Reflects the high quality experiences and results you create for your clients each and every day. • Gives you the grace to get back to the areas of your business you love the most. Well friend, you’ve come to the right place! Through my streamlined, collaborative, and thorough design process, we'll create a brand or website that you’ll feel proud to share with the world. You can confidently get back to doing what you love, knowing that your brand and website are representing you in your best light...even if you’re not in your ideal client's breakfast room while she peruses your website. While these are our most popular packages, I'm happy to put together a new package just for you, or offer a la carte items like Showit template customizations or blog re-designs as needed. Just send me a note and share a little more with me about your vision! This is perfect! Let's get started! These packages were designed to include everything you need to present your business in a way that feels polished, classic, & just like you. Curious about how the design process works? Are you like me and like to know what to expect before jumping into things? I've got you covered! I've got some blog posts all ready for you that walk you through the whole process, so you know what to expect and how to prepare for our work together from start to finish! Sound good? 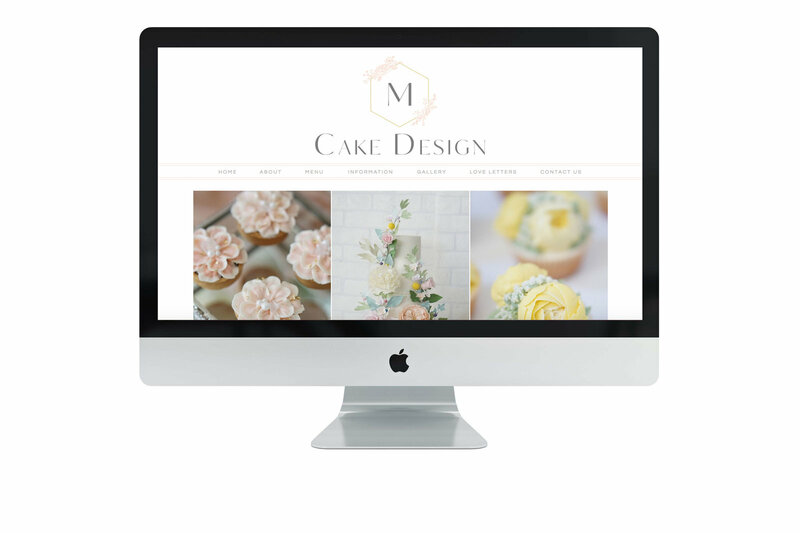 "Sarah was an absolute pleasure to work with... Sarah understood perfectly the vision & branding that we wanted our website to showcase, & we could not be more satisfied & in LOVE with our final product!" "I put the whole frustrating mess into Sarah's hands and she had it straightened out in a matter of hours. We launched in only 5 days, and the site is gorgeous! Take my advice and don't DIY. Hire Sarah!" "I cannot brag on Sarah enough... She worked above and beyond our contracted services and seriously was a joy to work with. Having her share the same excitement and attention to detail as me was encouraging and reassuring!" "Everything is PERFECT! Her customer service is spot on and I couldn't be happier! I WISH I had hired someone 6 months ago instead of stressing over it." "Sarah truly is a miracle worker. She came in and saved the day! Sarah went above and beyond to help me out so I could hit my launch date (which was literally the same day she helped me)!" "...I have nothing but praises to say about the experience. The job was completed sooner than I had expected, she's polite, quick to respond, efficient, and detail-oriented." "Sarah went above and beyond my expectations, and I couldn't be more thankful! I found my go-to gal!" 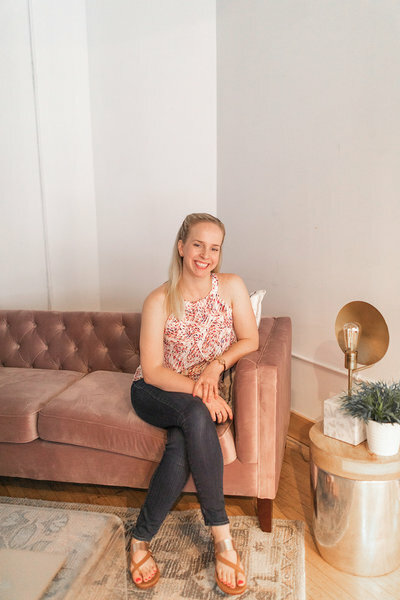 "Working with Sarah has been absolutely the BEST experience I've ever had...I was blown away...I honestly have no idea where I'd be right now if I hadn't found her, and can't recommend her enough!!" "I can't say enough good things about my experience working with Sarah... My website has made such a difference to my overall business!! "Sarah is the perfect combination of incredibly knowledgeable yet able to explain things clearly, as well as being so fun to work with... I'm so delighted with the site, I'm hiring her to do another one and will probably have to just keep creating new sites so I can keep working with her!" "We couldn't be more thrilled...you will be over the moon and back after she is done working with you. 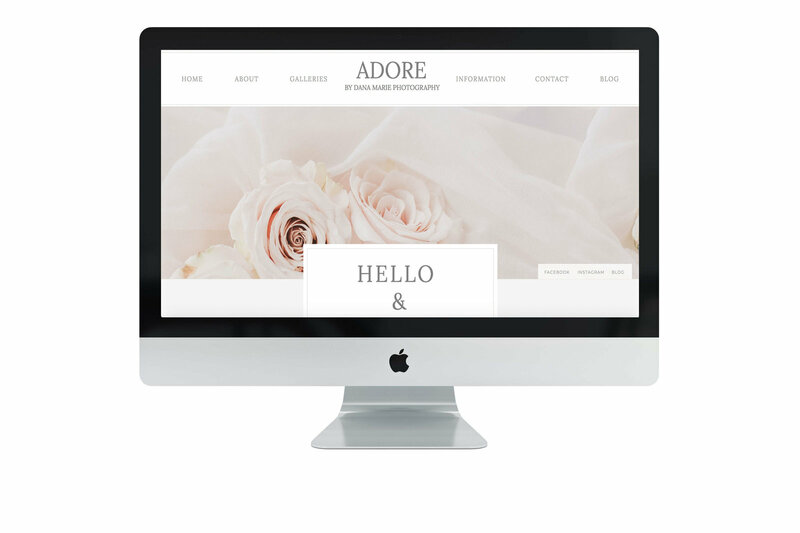 We wouldn't have wanted to work with anyone else..."
“I am absolutely in love with the website!! It's exactly what I've always wanted and even better! Thank you so so much! It definitely feels like "me"
"This has been a dream really. I have worked with web designers in the past and it was a mess. You have made it seamless and a great experience." "Sarah, you are my personal website Jesus! You are seriously the best, ever. What website design platform do you use? How Do I learn how to use showit? Are there other website costs? Do you customize Showit Templates? Can I transfer blog posts to this new site? How do your payment plans work? Do you offer a la carte Design offerings? As a small business owner myself, I totally understand that branding or a new website are a big investment, and I don't want you to have to put the project off while you save. Think of all the value your new brand and website could bring your business in the interim that you'd be missing out on! As a result, I offer payment plans, ranging from 2-8 months of installments. And once our work is complete and your new brand or website is ready to be shared with the world, we launch -- no waiting until you've paid off your total investment! Pretty cool, right? At the end of every website design and launch, I send a recorded video tutorial to walk you through the back end of your site. These tutorials empower most clients update their sites on their own as they need. I'm always available for questions, and am happy to help down the road as questions pop up. If clients would prefer not to self-maintain their sites, I offer monthly maintenance packages. Showit also offers great customer support, has a fantastic library of help documents and Youtube tutorial videos, and a very supportive Facebook community if you need more help. You've got this! I promise. How do I learn to use Showit? Showit offers both free and paid for templates. These templates give you a solid framework from which to build or customize, and make for a more cost effective and faster website design process. You can think of the difference between customizing a template vs building a custom site as being similar to the difference between renovating or redecorating a house vs building one from scratch. I would love to work with you to customize a template to your unique business needs! I offer template customizations that give you a semi-custom website for an investment of $2000, and they're typically launched in 2 weeks. 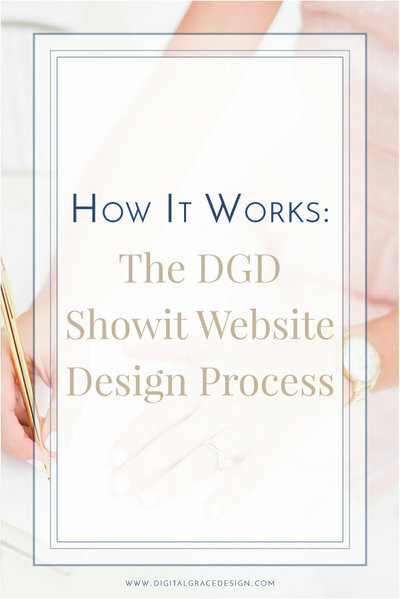 I design websites on the Showit 5 platform. 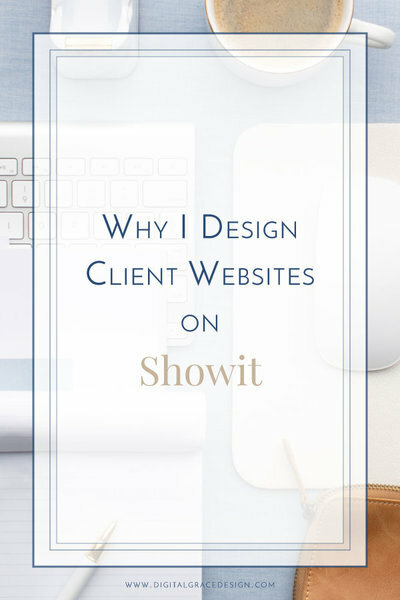 As a former Wordpress designer, I fell in love with Showit because of its incredible customizability, visual design capabilities, mobile responsiveness, and ease of SEO optimization. If you can imagine it, you can create it exactly as you envision it on Showit. The design capabilities are literally endless. Showit utilizes an intuitive drag and drop builder that's easy to use, and you don't have to learn to code. While Showit was originally designed as a platform for photographers to optimally showcase their stunning portfolios and services, it is now used by businesses of all kinds. All website clients are responsible for purchasing their own domain registration. Not sure what this means or where to purchase a domain? No worries! Just let me know, I'm happy to advise you. Website hosting is provided by Showit, and more information about Showit memberships can be found HERE. Are there any other website costs? Of course! It will work and look just as gorgeous as your desktop site does. Your site will not only be mobile responsive, but will be built separately from the desktop version to create an optimized mobile experience. Will my website be responsive and work properly on mobile devices? Absolutely! Your blog's visual aesthetic will be built through Showit with the same aesthetic as the rest of your site, and will act essentially as a 'blog theme'. You'll write and publish your blogs through the Wordpress platform, giving you the best of both worlds with both Showit's design and Wordpress' blogging capabilities. If you'd like to transfer an old or current blog over to your new site, the Showit support team will take care of migrating it over to your new site for you, so that launch goes off without a hitch! There are a few blog platforms that aren't supported for transfer, so feel free to confirm yours is ok before we begin. Can I have a blog? Can I transfer old blog posts to this new site?